Remac VoIP Terms of Service - REMAC ENTERPRISES, LTD.
INTRODUCTION: These VoIP Terms of Service for REMAC ENTERPRISES, LTD. (“VoIP Provider”), together with any operating rules, policies, or other supplemental documents expressly incorporated by reference and published from time to time (collectively, the “Agreement”) constitutes a legal agreement between you (“Customer” or “you”) and REMAC ENTERPRISES, LTD. for REMAC ENTERPRISES, LTD. VoIP Services (“Services”). Your use of the Services constitutes your agreement to the terms of this Agreement and [VoIP Provider]’s Acceptable Use Policy and you acknowledge that [VoIP Provider] would not agree to provide the Services without that assent. RECEIPT OF SERVICE: You may only receive the Services if you are a Service subscriber in good standing. Unless we agree otherwise, you understand that you must obtain your own Internet connection in order to use the Services. We do not control your Internet access or the quality of your Internet connection. WE ARE NOT RESPONSIBLE FOR ANY THIRD PARTY PRODUCTS OR SERVICES, OR FOR PROBLEMS IN THE SERVICES CAUSED BY YOUR INTERNET CONNECTION OR THIRD PARTY PRODUCTS OR SERVICES. 3.1. Administrator: You may designate one or more users to be an account administrator (“Administrator”) with full administrative control of your account. Upon creation of your account, the individual assigned to be the Administrator is the individual who entered into an agreement with [VoIP Provider]. 3.2. Administrator Privileges: The Administrator: (i) can make any changes to the account (e.g., service additions, service deletions, assignment of users, account cancellations, updates to credit cards, etc. ); and (ii) is the authorized individual on your account with respect to porting of your telephone numbers to a carrier other than [VoIP Provider]. Any user with administrator privileges is also authorized to (i) add additional [VoIP Provider] Services to your [VoIP Provider] account and (ii) commit you to pay for these Services in accordance with the terms of your order. The Administrator may designate one or more “Company Contacts” for the account (as further explained below), assign one or more additional administrators on the account, and re-assign “Administrator” status to another user. 3.3 Account Information: If you want [VoIP Provider] to provide information on your account relating to a customer service record or call log details (other than through any available user interface), such request may be made by the Administrator, but information provided by [VoIP Provider] will only be transmitted to the email address on file for the Administrator. 3.4. Administrator Reassignment: In the event that you wish to reassign the Administrator designation on your account and the Administrator is unable to make the change, you must submit an email from the Administrator’s email address that is on file with [VoIP Provider] or otherwise provide a written request via facsimile, on your letterhead and executed by an officer or owner of the company that you represent. COMPANY CONTACT: The Administrator may designate one or more “Company Contacts” for the account. The Company Contact is the individual(s) who will receive all messages from [VoIP Provider] concerning matters of general relevance to the account (e.g., notices of updates to the account, billing notices, maintenance alerts, etc. ); such notices are typically provided through email. [VoIP Provider] will initially assign the Administrator to be the Company Contact. A Company Contact may or may not be the Administrator for the account. REVISION TO TERMS AND PRICING: [VoIP Provider] may adjust the components comprising a specific plan at any time. [VoIP Provider] reserves the right, from time to time, to change the terms and modify service plans and features, provided that such changes are consistently applied in a manner and degree to similarly situated customers. [VoIP Provider] will use commercially reasonable efforts to provide thirty days’ notice of such proposed changes. [VoIP Provider] also reserves the right to increase pricing when there are government-sourced or regulated changes applicable to VoIP providers, which increase the cost of VoIP services, and to include or exclude certain international calling destinations at any time based on its commercial or legal judgment. All pricing is exclusive of taxes, fees, and other government charges. By continuing to use the Service after revision(s) are in effect, you thereby accept and agree to all such revisions. SERVICE PRICING: Customer agrees to pay [VoIP Provider] the fees agreed to in the parties’ Service Agreement in accordance with the payment and billing terms more fully described below. In addition to those applicable recurring and one-time charges, Customer also agrees to pay all applicable customs duties, sales, use, import or export, value added, excise, federal, state, local, public utility, universal service, or other similar taxes and fees. 7.1. Prepaid Billing: [VoIP Provider] is principally a prepaid service. 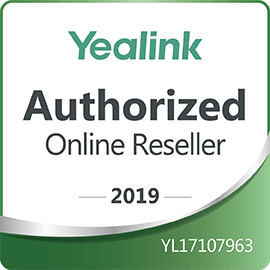 You hereby authorize [VoIP Provider] to apply all applicable charges and fees incurred under this Agreement to the payment method associated with this Agreement. Prepaid service requires your account to have sufficient funds at all times. 7.1.1. Initial Deposit: At the inception of Service, you agree to deposit a fixed amount into your [VoIP Provider] account to establish its initial prepaid value. Thereafter as your use of the Services depletes the account’s initial value through applicable Fees to the low-balance threshold (the default of which is the initial monthly value reflected on your MSA), you agree that your payment method may be charged to restore the account’s value above the low-balance threshold to a top-up value that you can define via written notice to [VoIP Provider]. 7.1.2. Due Date: Except for usage-based fees, all fees are due in advance on the first day of each billing period. Fees may include monthly recurring charges (“Service Fees”) and other non-recurring charges including, but not limited to, activation fees, porting fees, early termination fees, regulatory compliance fees (“Regulatory Recovery Fees”), and government-mandated pass-through fees such as, but not limited to, Universal Service Fund fees (“USF Fees”) and E911 fees (“Fees”). All usage-based charges, Fees, and any other non-recurring charges are due and payable in arrears on the first day of each billing period following the month they were incurred. You agree to pay for all equipment and set-up fees at the time Services are ordered. All payments, including payments paid in advance, are non-refundable. Failure to pay in full will result in immediate suspension and [VoIP Provider] shall have no liability for such suspension. 7.1.3. Actual Use: You shall be responsible for the costs incurred by all inbound and outbound call traffic regardless of their source, authorization, or scope (“Actual Use”). Should an unauthorized third party breach your equipment, you shall be responsible for the costs of the unauthorized traffic. 7.1.4. Late Charges: [VoIP Provider] will assess an additional 1.5% per month late charge (or the highest amount allowed by law, whichever is higher) if your payment is more than thirty (30) days past due. You are responsible and liable for any and all fees, including reasonable attorneys’ and collection fees and costs, that [VoIP Provider] may incur in its efforts to collect any outstanding balances. You also agree to pay any outstanding balances if you cancel the Service. 7.1.5. Suspension of Service: During any period of suspension for non-payment, Services will be unavailable until the account balance is paid in full. In the event Services are terminated for reason of non-payment or otherwise, you understand and agree that no Services will be provided and your assigned telephone numbers will be reclaimed immediately and no longer available to you. SERVICE DISTINCTIONS: You acknowledge and understand that [VoIP Provider]’s Service is not a telephone service, and [VoIP Provider] provides its Service on a commercially reasonable basis. Important distinctions exist between telephone service and the enhanced Service offering provided by [VoIP Provider]. The Service is subject to different regulatory treatment than telephone service. This treatment may limit or otherwise affect your rights of redress before Federal and State telecommunications regulatory agencies or judicial forums. Events beyond our control may affect our Service, such as power outages, fluctuations in the Internet, your underlying Internet service provider or broadband service, or maintenance. 8.1.1. You must Register Your Location: For each phone line that you utilize with [VoIP Provider]’s VoIP service, you will be required to register the physical location (“Registered Location”) of your equipment with [VoIP Provider]. You must remember to update the Registered Location whenever the physical location changes. [VoIP Provider]’s only mechanism for routing 911 calls to the correct Public Safety Answering Point (“PSAP”) or local emergency service personnel is the Registered Location for the account. Any enhanced location information passed to an emergency operator by [VoIP Provider] will be based upon the Registered Location provided to [VoIP Provider] by you. For purposes of 911 dialing, you may only register one Registered Location at a time for each phone line. YOU THEREFORE ACKNOWLEDGE AND UNDERSTAND THAT YOUR FAILURE TO PROVIDE THE CURRENT AND CORRECT PHYSICAL ADDRESS AND LOCATION OF YOUR EQUIPMENT AS THE SERVICE ADDRESS WILL RESULT IN ANY EMERGENCY CALLS YOU MAKE BEING ROUTED TO THE INCORRECT LOCAL EMERGENCY SERVICE PROVIDER. Relocation of Your VoIP Equipment: If you relocate the equipment that you use to access [VoIP Provider]’s VoIP service, you must update your Registered Location. If you do not update your Registered Location, any 911 calls you make using [VoIP Provider]’s VoIP service will be routed based on your previously provided Registered Location and therefore may not be routed to the appropriate PSAP. Once you notify [VoIP Provider] of a change in your Registered Location, there may be a delay in making the new Registered Location available to properly route 911 calls. Changing Phone Number or Porting New Number: Your [VoIP Provider] VoIP 911 service will not function if you change your phone number or if you add or port new phone numbers to your account, unless and until you successfully register your location of use for each changed, newly added, or newly ported phone number and receive confirmation from [VoIP Provider]. Internet Connection Failure: If there is an interruption of your broadband or high-speed Internet access service, you will not have access to [VoIP Provider]’s VoIP service during that interruption and therefore will not have access to 911 service during that interruption. In addition, since the service is dependent on the broadband connection, the availability of an adequate power supply, and correct equipment configuration, [VoIP Provider] does not guarantee that the service will be continuous or error-free. Equipment Failure and Misconfiguration: [VoIP Provider]’s VoIP service will not function if the equipment on your premises or any equipment in our locations fails for any reason, including but not limited to hardware or software failures or misconfiguration either by [VoIP Provider], the customer, and/or any of our vendors. Loss of Electrical Power: [VoIP Provider]’s VoIP service will not function in the absence of electrical power and you will not have phone service or 911 service during any power outage. Termination of Service: 911 service will not be available if your service has been cancelled or terminated by you, an Administrator, or [VoIP Provider]. You acknowledge and understand that a service outage due to suspension of your account as a result of billing issues or any other reason, including, but not limited to those reasons described elsewhere in this Agreement, will present all service, including the limited emergency response service. Network Congestion: You acknowledge and understand that calls made using the limited emergency response service of [VoIP Provider] may be subject to network congestion and/or reduced routing speed and that the call may fail. Other Limitations: The local emergency service operator receiving [VoIP Provider] VoIP service’s E911 calls may not have a system configured for E911 services or be able to capture and/or retain automatic number or location information. This means that the operator may not know the phone number or physical location of the person who is making the [VoIP Provider] VoIP service E911 call. Due to technical factors in network design, and in the event of network congestion on the [VoIP Provider] network, there is a possibility that an [VoIP Provider] 911 call will produce a busy signal or will experience unexpected answering wait times and/or take longer to answer than 911 calls placed via traditional telephone networks. In addition, a local or national disaster and subsequent spike in the number of calls may result in long connection times, busy signals, or failures to connect. 8.1.3. You Must Notify All Users of These Limitations: You must inform all potential users who may be present at the physical location where you utilize [VoIP Provider]’s VoIP service of the important differences in and limitations of [VoIP Provider]’s VoIP 911 dialing as compared with basic 911 or E911 provided by traditional landline telephone service. 8.1.4. You Must Affix the Provided Warning Labels to Your VoIP Equipment: [VoIP Provider] will provide you with warning labels regarding the limitations or unavailability of 911 emergency dialing (“the 911 Sticker”). You must place one of these 911 Stickers on each telephone and on any other device which will be used with your [VoIP Provider] VoIP service, if you require additional 911 Stickers, please contact [VoIP Provider]’s Customer Service Department. 8.1.5. Alternative Arrangements: By signing up for [VoIP Provider]’s VoIP service you understand that, if you are not comfortable with the limitations of [VoIP Provider]’s 911 service, that you should always have an alternative means of accessing emergency service. In order to ensure that you have access to emergency services, you acknowledge and accept that it is your sole responsibility to purchase from a third-party separately from [VoIP Provider] traditional wireless or landline telephone service as a backup means of completing emergency calls. 8.1.6. Disclaimer of Liability and Indemnification: [VoIP Provider] relies on third parties for the forwarding of information underlying all routing. [VoIP Provider] and its third party provider(s) disclaim any and all liability in the event such forwarded information or routing is incorrect. [VoIP Provider] and its officers, directors, or employees may not be held liable for any claim, damage, loss, or other cause of action, and you hereby waive any and all claims, damages, loss, or causes of action arising from or relating to [VoIP Provider]’s 911 dialing. You further agree to defend, indemnify, and hold harmless [VoIP Provider], its officers, directors, employees, affiliates, agents, and its third party provider(s) from any and all third party claims, losses, damages, fines, penalties, costs, and expenses (including, without limitation, reasonable attorneys’ fees) arising out of, or resulting from (i) your failure to correctly activate 911 calling; (ii) your provision to [VoIP Provider] of incorrect information in connection with your 911 calling or service; (iii) misrouted 911 or E911 calls; or (iv) the absence, failure, or outage of the Services, including 911 dialing and/or inability of any user of your Service to be able to dial 911 or to access emergency service personnel. 8.2.1. Non-Voice Equipment Limitations: You acknowledge and understand that the Service is not compatible with all non-voice communications equipment, including but not limited to some office security systems that are set up to make automatic phone calls, emergency phones in elevators, digital entertainment systems, fax machines, modems, and medical monitoring devices. By accepting this Agreement, you waive any claim you may have against [VoIP Provider] for interference with or disruption of such systems due to the Service. 8.2.2. Certain Broadband, Cable Modem, and Other Services: There may also be other services with which our Service may be incompatible. Some providers of broadband service may provide modems that prevent the transmission of communications using the Service. We do not warrant that the Service will be compatible with all broadband services and expressly disclaim any express or implied warranties regarding the compatibility of the Service with any particular broadband service. 8.3. RISK OF FRAUD: You acknowledge that placing telephones on a publicly accessible internet protocol address or a publicly accessible network will subject you to a higher level of risk for fraudulent activity, as will use of the Services using a network that has not been secured using best-practice measures. You acknowledge that you are solely liable and responsible for and bear the risk of loss arising from any unauthorized or fraudulent usage of the Services associated with your account. 9.1. Service Term: [VoIP Provider] provides the Service for the term that you have signed up for. Your term begins on the date you first ordered service (the “Subscription Date”) or the date we successfully process your payment, whichever is later. It is not the day you receive the Device you ordered or the first time you use the Service. You are purchasing the Service for the full-service term as set forth in the Order. 9.2.8. Your payment method does not contain sufficient funds. 8.3. Termination of Service: In addition to [VoIP Provider]’s right to suspend or terminate Service in accordance with the terms of this Agreement and [VoIP Provider]’s Acceptable Use Policy, either party may terminate this Agreement at any time without penalty provided that it sends written notice of such termination to the other party at least thirty (30) days before the effective date of such termination. Following the effective date of the termination, you may request a refund of your Prepaid Balance from [VoIP Provider]. [VoIP Provider] shall refund any balance held on behalf of you within thirty (30) days of the termination, less any amounts due to [VoIP Provider]. NUMBER PORTING: [VoIP Provider], and its agents, are authorized to initiate changes to telephone service and for the purpose of obtaining service records, initiate or terminate ports, or to make changes to the ways in which your telephone numbers are routed to the extent necessary for the provision of the Services. 10.1. Damages Waiver: You agree to release [VoIP Provider] from damages of any kind, including, but not limited to, direct, consequential, and exemplary or punitive damages, in the event that either a terminating or servicing peer or a third party experiences technical difficulties that result in any or all of the following: (i) service interruption, (ii) delays in porting, (iii) delays in service, and/or (iv) lost telephone numbers. 11.1. Acceptable Use Policy: You agree to comply with the [VoIP Provider] Acceptable Use Policy (“AUP”), which is incorporated into this policy by reference. Changes to the AUP may be made at any time without notice to you. 11.2. Actual Use: You shall be responsible for the costs incurred by all inbound and outbound call traffic regardless of their source, authorization, or scope (“Actual Use”). Should an unauthorized third party breach your equipment, you shall be responsible for the costs of the unauthorized traffic. 11.3. Compliance with Laws: You agree that you shall only use the Services in a manner that complies with all applicable laws in the jurisdictions in which you use the Services, including, but not limited to, applicable restrictions concerning copyright and other intellectual property rights and restrictions concerning call recording, call monitoring, call interception and/or direct marketing or telemarketing. [VoIP Provider] may provide you with guidelines regarding compliance with applicable regulation(s), however, you are solely responsible for ensuring that your use of the Services is in compliance with such regulations. In addition to any other remedies available in equity or law to [VoIP Provider], failure to comply with any of the terms and conditions in this Section shall result in immediate termination of the Services. 11.4. International Calling Coverage: Due to the nature of international tariffs, laws, and technical capacities of many international locations, not all international numbers are reachable from the [VoIP Provider] network. 12.1. Service Requests/Service Changes: During the course of the Agreement, you may make service requests of [VoIP Provider] via email, ticket submission, or phone call. 12.2. User Access Credentials: You are solely responsible for securing all credentials to access the Services. 12.3. Novations: The parties agree that, from time to time, the parties may enter into mutually agreeable signed, written novations to this Agreement. Such novations shall be limited to: (i) changes to the process for the Services and any additional features and (ii) Services and prices not already part of the parties’ Agreement. 13.1. WARRANTIES: [VoIP Provider] shall provide the Services and meet its obligations under this Agreement in a timely and professional manner according to standard practices of the industry. EXCEPT TO THE EXTENT EXPRESSLY PROVIDED HEREIN, [VOIP PROVIDER] DOES NOT WARRANT THE SERVICES HEREUNDER OR THE ACCURACY OR CORRECTNESS OF THE RESULTS OF THE SERVICES, AND [VOIP PROVIDER] DISCLAIMS ALL WARRANTIES, EXPRESS OR IMPLIED, INCLUDING, BUT NOT LIMITED TO, WARRANTIES OF: (1) MERCHANTABILITY, (2) FITNESS FOR A PARTICULAR PURPOSE, (3) EFFORT TO ACHIEVE PURPOSE, (4) QUALITY, (5) ACCURACY, (6) NON-INFRINGEMENT, (7) TITLE, (8) MARKETABILITY, (9) PROFITABILITY, (10) SUITABILITY, AND/OR (11) ANY TYPE ARISING FROM COURSE OF PERFORMANCE, COURSE OF DEALING, OR USAGE OF TRADE. THE [VOIP PROVIDER] SERVICES AND ANY MATERIALS, SOFTWARE, OR EQUIPMENT ARE PROVIDED “AS IS” TO THE FULLEST EXTENT PERMITTED BY LAW. 13.2. LIMITATION OF LIABILITY: SUBJECT TO THE CUSTOMER’S OBLIGATION TO PAY FOR SERVICES TO [VOIP PROVIDER] AND CUSTOMER’S DUTY TO DEFEND AND INDEMNIFY [VOIP PROVIDER], EITHER PARTY’S LIABILITY IN CONTRACT, TORT, OR OTHERWISE (INCLUDING NEGLIGENCE) ARISING DIRECTLY OUT OF OR IN CONNECTION WITH THIS AGREEMENT OR THE PERFORMANCE OR OBSERVANCE OF ITS OBLIGATIONS UNDER THIS AGREEMENT AND EVERY APPLICABLE PART OF IT SHALL BE LIMITED IN AGGREGATE THE TOTAL AMOUNTS BILLED FOR SERVICES PROVIDED HEREUNDERFOR THE THREE (3) MONTHS PRIOR TO THE ALLEGED BREACH. 13.3. INDEMNIFICATION: THE CUSTOMER HEREBY AGREES TO HOLD HARMLESS, INDEMNIFY, AND DEFEND [VOIP PROVIDER], ITS OFFICERS, DIRECTORS, AND EMPLOYEES, FROM AND AGAINST ANY LOSSES, DAMAGES, FINES, AND EXPENSES (INLCUDING REASONABLE ATTORNEYS’ FEES AND COSTS) ARISING OUT OF OR RELATING TO ANY CLAIM THAT YOU HAVE VIOLATED ANY TERM OF THIS AGREEMENT, INCLUDING, WITHOUT LIMITATION SECTION 11.3, ENTITLED “COMPLIANCE WITH LAWS”). DISPUTE RESOLUTION AND BINDING ARBITRATION: It is important that you read this entire section carefully. This section provides for resolution of disputes through final and binding arbitration before a neutral arbitrator instead of in a court by a judge or jury. 14.1. Arbitration: Any controversies or disputes between the parties, whether arising out of or relating to this Agreement or otherwise, shall be resolved by binding arbitration in accordance with the then-current Commercial Arbitration Rules of the American Arbitration Association (“AAA”). The parties shall select a mutually acceptable arbitrator knowledgeable about issues relating to the subject matter of this Agreement. In the event the parties are unable to agree to such the selection of an arbitrator, each party agrees to submit the selection of an arbitrator to the rules of the AAA. Arbitration shall take place at a location that is centrally located between the parties, or otherwise mutually agreed upon by the parties. The rules of discovery under the State of Illinois shall apply. The Arbitrator(s) shall be bound by the laws of the State of Illinois in her or his ruling. The decision rendered by the Arbitrator(s) shall be final and binding on the parties, and judgment may be enforced in any competent court of law. 14.2. Formal Notice of Disputes: A party who intends to seek arbitration must first send to the other party a written “Notice of Dispute” to the address reflected on the Parties’ Master Services Agreement setting forth in detail, including the submission of supporting documentation, the grounds of the dispute. 14.2.1. The Notice of Dispute must describe the nature and basis of the dispute or claim and set forth the specific relief sought. If you and [VoIP Provider] do not reach an agreement to resolve the dispute or claim within thirty (30) days after the Notice of Dispute is received, you or [VoIP Provider] may commence an arbitration proceeding. The amount of any settlement offer made by you or [VoIP Provider] shall be non-discoverable and shall not be disclosed to the Arbitrator(s) until after the Arbitrator(s) determines the amount, if any, to which you or [VoIP Provider] is entitled. 14.3. Waiver of Judge or Jury Trial: The parties understand and agree that they are waiving their right to a trial by judge or jury in light of their agreement to arbitrate any disputes between them. CONFIDENTIALITY: Apart from publicly available terms and conditions, [VoIP Provider] and the Customer agree that the information and data exchanged between them are confidential and proprietary. The parties agree that such confidential information will not be disclosed, either directly or indirectly, by any means, to any third person(s) without the express written permission of the other party. In the event disclosure is mandated by court order, subpoena, a governmental authority, or under law, the party who receives such demand must give prompt written notice to the other party prior to any such disclosure and cooperate fully in obtaining any protective order or other form of confidentiality protection. CALEA: [VoIP Provider] intends to fully comply with the Communications Assistance for Law Enforcement Act (“CALEA”). By using the Service, you hereby agree and consent to [VoIP Provider]’s right to monitor and otherwise disclose the nature and content of your communications if and as required by CALEA without any further notice to you. 17.1. Governing Law: This Agreement shall be construed in accordance with the laws of the State of Illinois, without regard to its conflict-of-laws provision. 17.2. No Waiver of Rights: The failure of either party to enforce a provision of this Agreement shall not be construed as a waiver or limitation of that party’s right to enforce those provisions in the future. 17.3. Entire Agreement: This Agreement, together with the parties’ Acceptable Use Policy, Service Agreement, and any attachments and addenda thereto contain the entire agreement between the parties, and there are no other oral promises or conditions with respect to the parties. This Agreement supersedes any other written or oral agreements between the parties. 17.4. Severability: If any provision of this Agreement will be held to be invalid or unenforceable for any reason, the remaining provisions will continue to be valid and enforceable. 17.5. Survivability: All Provisions that logically ought to survive termination of this Agreement shall survive. 17.6. Assignment: [VoIP Provider] may assign all or part of its rights or duties under the Agreement without notifying you. If we do that, we have no further obligation to you. You may not assign the Agreement or the Service without our prior written consent. 17.7. Force Majeure: [VoIP Provider] shall be excused from any delay or failure in performance hereunder caused by reason of occurrence or contingency beyond its reasonably control, including, but not limited to, acts of God, earthquake, fire, flooding, riots, war, government intervention, embargoes, strikes, labor difficulties, equipment failure, late delivery by suppliers, or other difficulties as may occur in spite of [VoIP Provider]’s commercially reasonable efforts.